I'm currently in the process of collecting and re-organising the music and sounds that I have splashed all over the web. Ever since being a youngster I wanted to make a career out of writing music for films. That never materialised because I did a technology rather than an arts degree - but it didn't stop me building my own music and production studio and spending many of the wee small hours writing, composing and recording. This simple children's musical has proved to be way more popular than I imagined and has been performed all over the country. It contains all the recordings you need to learn and perform a 20 - 45 minute musical without needing to play a single instrument! 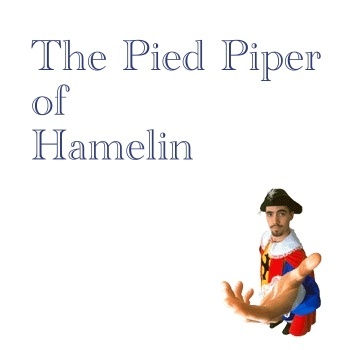 My Theatrical Themes and Loops album also complements Pied Piper if you need extra instrumental music (e.g. if you don't have anyone who can play recorder whilst leading the children). Finally, you can also purchase the song lyrics and performance notes - which give you suggestions for how to use and structure the musical content to create your own musical. Stings and Things is my (soon to be moved) music site with a varied mix of tracks, beds, stings and, well, things! that can be used in video production, podcasts and so on. Most of them can be accessed for free. 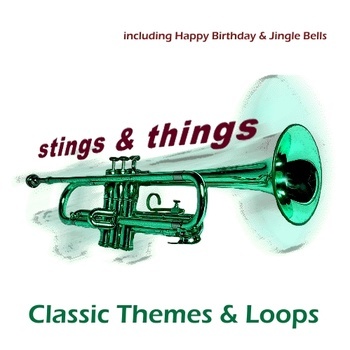 It also contains my two most popular downloads, free happy birthday and free jingle bells! I've also produced some mp3 ringtones with silly voices and music. A lullaby is a soothing song, usually sung to young children before they go to sleep, with the intention of speeding that process. As a result they are often simple and repetitive. Lullabies can be found in every culture and since the ancient period. Brahm's Lullaby is one of the classic (and Classical) lullabies, certainly in Europe. I love the classic wind up baby lullabies, but I can't really be bothered to keep winding them up! I thought it was about time they were brought in to the modern again - at least onto an mp3 player! So, I've produced some high quality recordings you can download to your iphone, iPod or MP3 player. Cradle Song is the common name for a number of children's lullabies with similar lyrics, the original of which was Johannes Brahms's Wiegenlied: Guten Abend, gute Nacht ("Good evening, good night"), Op. 49, No. 4, published in 1868 and widely known as Brahms's Lullaby. The lyrics of the first verse are from a collection of German folk poems called Des Knaben Wunderhorn and the second stanza was written by Georg Scherer (1824–1909) in 1849. The lullaby's melody is one of the most famous and recognizable in the world, used by countless parents to sing their babies to sleep. The Lullaby was first sung by Brahms's friend, Bertha Faber, as the piece had been written to celebrate the birth of her son. Brahms had been in love with her in her youth and constructed the melody of the Wiegenlied to suggest, as a hidden counter-melody, a song she used to sing to him.